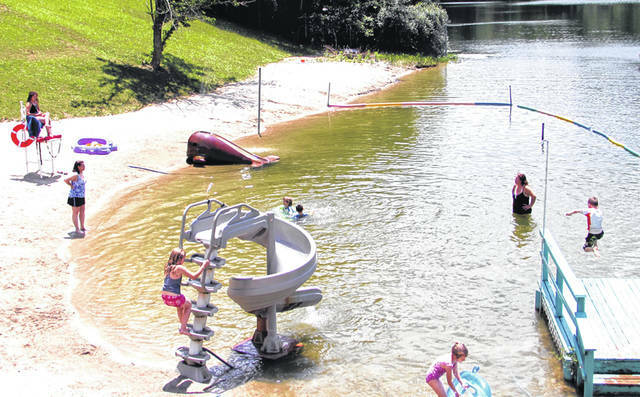 Wayne Lakes Village Council voted unanimously to void the council’s contract with John Kennedy to reopen Wayne Lakes Beach. WAYNE LAKES – Local business owner John Kennedy is less than satisfied with the decision of Wayne Lakes council members, at their monthly meeting Monday night, to void the council’s contract with Kennedy to reopen Wayne Lakes Beach. The contract would have allowed Kennedy, owner of Kennedy Vineyard in New Madison, to operate the beach for five years. The village holds a $2 million liability policy on the beach and other bodies of water throughout the community and required that Kennedy acquire matching coverage in order to meet the requirements of his contract. Kennedy, however, said he was only able to secure quotes for a $1 million policy. Village representatives, meanwhile, said the equal coverage was necessary to avoid the village being bankrupted in the event of a lawsuit. Kennedy said he consulted seven insurance agencies throughout Ohio and was told in each case that he would only be able to secure a $1 million policy. Kennedy said allowing a private company to reopen the beach would save the village money. In addition to the money Kennedy spent repairing a damaged water line and pouring new concrete, he said, he also would be able to hire lifeguards as private employees. The village would have to hire public employees, which is a more expensive process. Kennedy said the council might not want the beach reopened because of concerns that it would attract “a bad element” to the community. He thinks, however, that the beach provides a valuable resource for the village’s young people. Kennedy also thought the council was being remiss in not pursuing quotes from other insurance agencies to verify it was not being overcharged. Ultimately, he said, it’s the citizens of Wayne Lakes who are hurt most by keeping the beach closed. This entry was tagged Wayne Lakes. Bookmark the permalink.